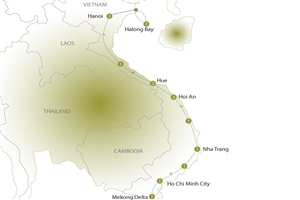 Discover the delights of the beautiful nation of Vietnam on a 15 day adventure to take in the scenic sights and historic monuments for which the country is best known, with the added bonus of being able to see first-hand the friendliness of the Vietnamese people. 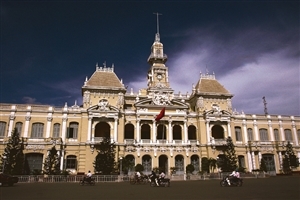 The tour kicks off in the former capital of Vietnam, with an overnight stay in Ho Chi Minh. Time depending, you’ll be able to spend some time exploring the city to visit some of the main tourist locations, such as the Notre Dame Cathedral and Reunification Palace – where the Vietnam War came to an end back in 1975 during the Fall of Saigon. 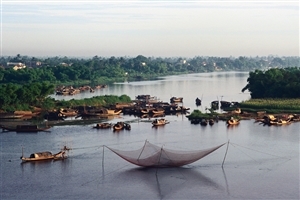 Following breakfast in your hotel, you’ll head towards the Mekong River to join a cruise along the river – gaining a taste of Vietnamese life when you then spend the night as the guest of a local family at their home close to the side of the water. Spending time on the river for a second day, you’ll then return to Ho Chi Minh to board an overnight train to carry you on to Nha Trang. Arriving at Nha Trang, you’ll have chance to spend two days on the south coast, with the opportunity to kick back and relax on the sandy beaches that line Nha Trang Bay. There is the chance to explore the local markets or visit the nearby Cham Towers, or to take a trip at your own expense to one of the nearby islands, one of which – Hon Tre – is home to the Vinpearl Amusement and Waterpark. Head up the coast to the former trading port of Hoi An, where time has almost stood still across the years. You’ll have chance to explore the small streets that can be found throughout the ancient town and visit some of the main sights – such as the Phung Hung Old House just a stones throw from the 400-year-old Japanese covered bridge. 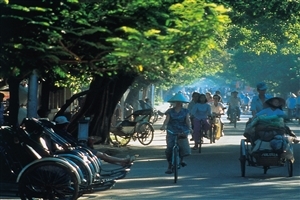 As well as spending time in the town itself, you can also explore the surrounding countryside by bicycle to admire the beauty of the Hoi An area. After a brief stop at China Beach, you’ll travel across the dramatic Hai Van Pass – also known as the Ocean Cloud Pass in reference to the mist that rises from the sea below. After another stop in the fishing village of Lang Co, you’ll arrive in Hue where you’ll have the chance to head off and explore the city. 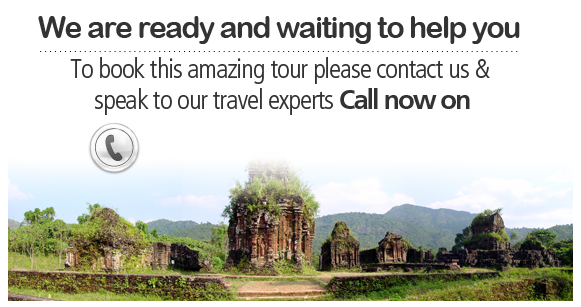 Amongst the bustling streets, you’ll find a large number of historical monuments which have helped to make Hue a World Heritage Site, including the tombs of Tu Duc and Khai Dinh. 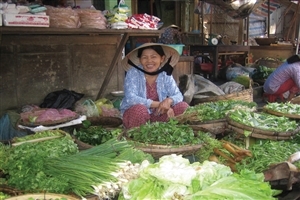 On your final day in the city, you’ll head for the train station for an overnight train to Hanoi. Arriving in the Vietnamese capital, you’ll take a walking tour of the Old Quarter to visit the Dong Xuan market before strolling through the ancient '36 streets' to discover an amazing selection of shops selling a wide range of goods. Time permitting, you could also check out a unique Vietnamese water puppet show at your own expense. Head across the Red River Delta and stop off to visit a handicraft village run by disabled locals before arriving in Halong. Once there, board a boat that will take you out into Halong Bay, where you can cruise amongst the thousands of limestone karsts that rise from the water. Enjoy a seafood lunch onboard and swim in the clear emerald waters before watching the sun go down as you prepare to spend a night onboard. Return to the shore to travel back to Hanoi, where the remaining time is free for further exploration of the city before heading for the airport to return home.